Free speech among the political establishment in Canada has a wide berth, with parliamentarian underwear becoming a focal point of discussion after one MP rushed out of a voting session, saying he could not sit any longer in his too-tight underpants. 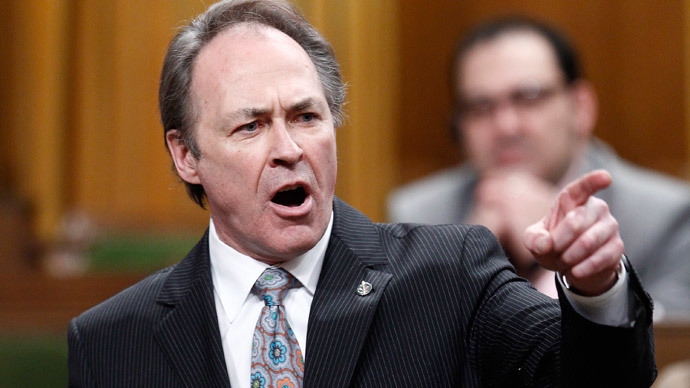 Pat Martin, a member of Canadian House of Commons, was seen sprinting out of the chamber, as his colleagues rose individually to cast their ballot during a slow one-by-one voting session. Following a short leave, Martin was confronted about his absence by a rival MP forcing him to voice an unexpected excuse. Martin apologized for his leave, but said he did not mean to forfeit his right to vote. The MPs out of left field comment also not only created a buzz on social media, it also threw his fellow politicians for a loop. MP Tom Mulcair said he was “having trouble breathing” from laughing so hard during Martin’s explanation. “And that’s the beauty of being Pat Martin,” Mulcair told CTV’s Power Play on Thursday evening. Following the round of entertainment Martin later admitted that he actually left the hall to ask a question to the speaker. “The actual fact is that it was a cheeky answer to what I thought was a cheeky question,” he said as cited by the SkyNews. Martin later told the Free Press he was thinking quickly on his feet because he knew he had been caught doing something he wasn't supposed to be doing.